Good Lord! Where does time fly? Yes, I have been working on my new novel and i am completely lost in the world I have created. I do not know when it is day and night anymore. I wake up, and it is like my characters beckon me. Every novelist will tell you that these characters live inside your head, the entire duration that you are writing the book. You laugh with them, cry with them, rejoice at their triumphs, feel sad at their disappointments and you are lost in their lives. It is hard to switch tracks and juggle an existence in the real world. Which is why I think, novelists who are writing a book should take a 'van-vaas' in the Himalayas. So, it was in this frame of mind that a mail landed in my inbox, that jolted me back to the real world. Pretty quickly. I landed with a loud BANG. Not a gentle thud. The mail was from the retd. Judge of Supreme Court of India and Chief Justice Bombay High court, informing me that I had won the coveted Business Excellence Award, instituted by New Delhi Institute of Management, for outstanding contribution to their field, enhancing India's reputation internationally and nationally. You can imagine my reaction---surprise and an overwhelming sense of deep gratitude. I immediately shared the news with my family and closest friends, and publishers as well who were elated. Every year India’s premier MBA school New Delhi Institute of Management recognizes and awards distinguished professionals like you for innovative best practices, for their outstanding contribution to specific activities and for such efforts by them which add to India’s national and international reputation. Since public acknowledgment at times is not commensurate with the outstanding efforts of achievers like you, New Delhi Institute of Management instituted “Business Excellence and Innovative Best Practices- Academia Awards” in 2013 to acknowledge such contribution. CMDs of NTPC, ONGC, OBC, STC, GAIL, Power Grid Corporation , NTPC , REC, Yes Bank, OIC, Hyosung Corporation India, HINDUSTAN POWER PROJECTS , UFLEX, LG, CMC, Schneider Electric, AIMA, Samsung, Fortis Healthcare , Cushman & Wakefield, Schneider Electric, Jaipur Golden & EXL India, NHRDN, Quatrro, Zomato, Amul, NDTV, Max Life Insurance, Ultra Tec and HAVELLS have been felicitated under different heads of activities with these awards. ”Academia Awards” by NDIM to distinguished change agents like you have been highly appreciated by the Industry and the business chambers as NDIM is nationally and internationally accredited and is among the top 25 MBA schools of India and one of the first to institute the “Academia Awards” for “Business Excellence and Innovative Best Practices”. These awards also help in inculcating the spirit of hardwork and innovation in our MBA students who take tremendous pride in researching the outstanding activities of great achievers. The awardees are chosen through extensive research by our 800+ MBA students, 74 members of faculty (drawn from 19 international universities and 201 industrial houses), our Advisory Council & Executive Council, and are presented by the high powered Board of Directors. Today, when the country is readying for a bigger leap into history, we want you to associate with the Academia Awards-2016 as their distinguished recipient and inspire the young MBAs in the future journey. We shall be honored to confer the “Business Excellence and Innovative Best Practices-Academia Awards -2016” on you at our 25th Annual Festival at the Jawaharlal Nehru Stadium (auditorium) on 12th March 2016 at 7pm in the august gathering of 2100 distinguished invitees, media, bureaucrats and young students. Felicitations would be at the hands of famous Journalist Shri Shekhar Gupta and our Board of Directors (details given below). In the past these awards have been given by former Chief Justices & Supreme Court Judges- Justice Mukundukam Sharma, Justice B.P Singh, Padma Vibhushan Sonal Mansingh along with our distinguished board of directors. We are looking forward to your confirmation and acceptance. The event will take about 40 minutes. Chief Justice Bombay High Court. So I will be flying to Delhi, on Saturday to receive my award. It is indeed a proud moment and my family will be flying with me. I wish to deeply thank each and every one of you, my dear dear readers, who have been a part of my journey. I shall share pictures from the event soon! Till the next time ( which will be an update soon), adios. Woowwww..!!! Congratulations..!!! You are really an inspiration. 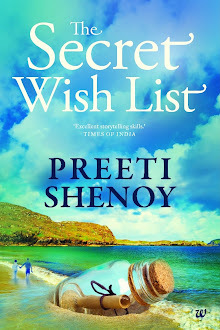 Congratulations Preeti :-) It's all the hard work you have put in with your time which is coming to you in such honors. Great going Preeti... You are a very creative person..
Wow! That's great and absolutely well deserved! Congratulations, Preeti! 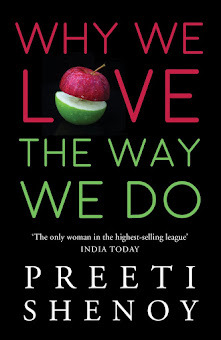 Heartiest congrats Preeti! Truly an awesome feeling for you. Well deserved! Congrats. Nice to see u at NDIM fest.